Instead of wasting the hours stuck on the road, how about spending it listening to good music? 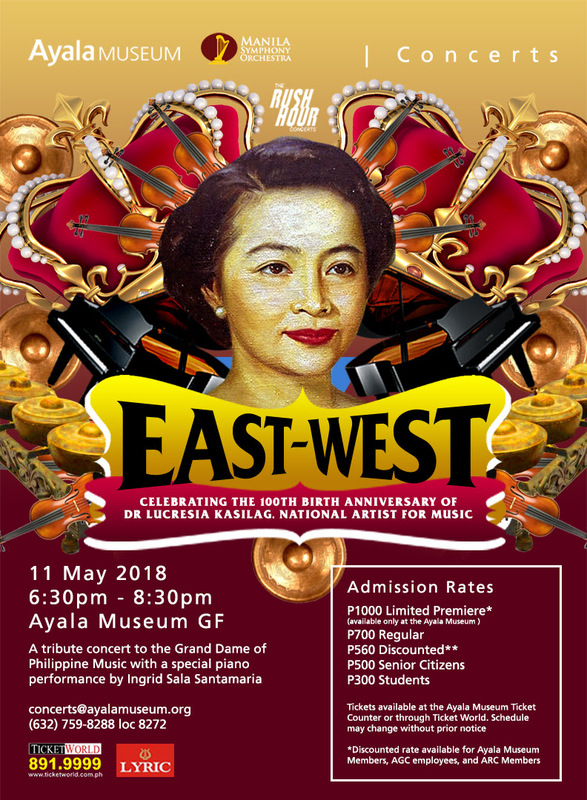 Ayala Museum is hosting a concert this coming Friday evening, May 11, in honor of the 100th birthday anniversary of Dr. Lucrecia Kasilag, National Artist for Music. 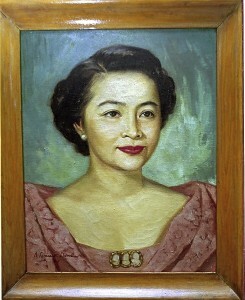 Kasilag, known as the Grand Dame of Philippine Music, was an educator, composer, and performing artist. She “had involved herself wholly in sharpening the Filipino audience’s appreciation of music,” the National Commission for Culture and the Arts writes. She was most known for how she incorporated indigenous Filipino instruments in orchestral productions. The concert, aptly called “East-West,” celebrates Kasilag’s work of infusing Filipino ethnic music with Western influences. Special performances will also be held by Filipina pianist Ingrid Sala Santamaria with Manila Symphony Orchestra’s Gina Medina Perez on the violin. “East-West” will be held at the ground floor of the Ayala Museum from 6:30 p.m. to 8:30 p.m. Tickets are available at the Ayala Museum ticket counter and through Ticketworld.